The biggest news on Instagram this week is the network’s new features that allows users to post their content to multiple accounts at once. Made public by social media influencer Dhariana Lorenzo earlier this week, the feature allows users to post one piece of content to multiple accounts by toggling accounts on and off within the Composer screen. According to TechCrunch, the new feature is being rolled to iOS users at the moment. “We are rolling out this feature to provide a better experience for people who often post to multiple accounts,” an Instagram rep told TechCrunch. The new features allow users to toggle accounts on and off within the Composer screen. While the feature helps brands with multiple accounts, the new feature promotes functionality rather than creativity. It may save some users time, but if you’re sharing the same content to different audiences, you risk appealing to no one. If you prefer posting to several accounts at the same time, we highly recommend using a tool like Sked Social that allows you to customize your captions for each network or account. Your Twitter feed is officially getting a new look! 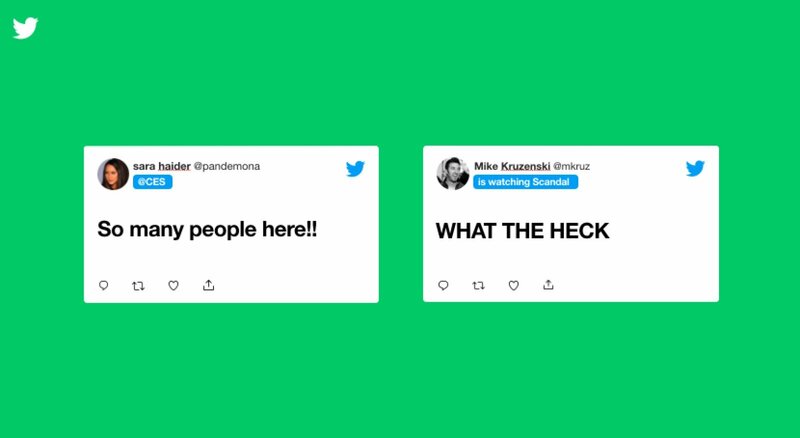 According to Engadget, Twitter is rolling out a new beta program that features revamped formatting for its feed, including speech bubbles, indenting and a variety of colors for replies and follows. The second set of “activity” features, which include status updates and availability icons, will begin rolling out later this year but won’t be available in the beta program. Twitter is hoping that these new features will encourage users to strike up more conversations on the platform, and cut down on harassment. “We want to develop a service for the people that are using it, and we have to involve people in that way,” Sara Haider, director of product management at Twitter, said at CES 2019. “We have a platform that the world uses to speak their mind, why not use that as part of our development process? If you’re interested in testing out these features for yourself, Twitter is said to be opening up applications in the coming weeks! 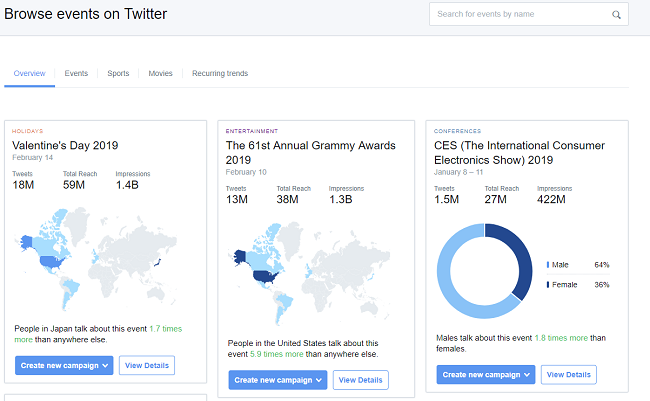 It appears Twitter is also working on a new Events Dashboard and updated insights that will help brands maximize their use of trending topics and better connect with their audience. Unveiled at CES 2019, Twitter’s new “real-time Events Dashboard” will highlight major and breaking events and news and deliver insights into the volume of activity on the network. A preview of the dashboard allows brands to browse relevant events and the number of tweets surrounding each trending topic, giving brands a better grasp on which real-time news events to capitalize on. Twitter is also working on a new activity tracker that mimics the functionality of third-party tools like Followerwonk. 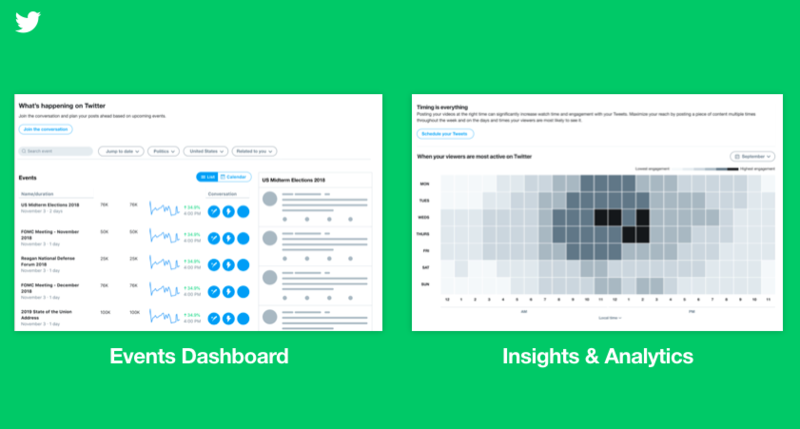 The new tool will highlight when your audience is online, helping brands optimize their Twitter strategy with insights drawn directly from their data stream. A final set of Twitter updates involves the network’s desktop layout. The “new Twitter” will feature a night and data-saver mode, and a simpler way to access bookmarks. Additional changes to the Desktop layout include a large bio area, increased emphasis on your images round-up and a trends panel. Over on Facebook, the social media network recently added the option to add call-to-action buttons to their Stories posts. The new buttons mimic the CTAs feature on Facebook Business Pages. Businesses can now prompt viewers to “Shop Now,” “Get Directions,” or “Book” directly from their Stories feed. While Facebook Stories has seen a far slower adoption rate than on Instagram or Stories, the new CTA options may attract more users due to Facebook’s much larger scale of monthly average users, which now stands at 2.27 billion. Facebook is addressing fake news head-on by making it one of its first initiatives of 2019. Collaborating with British fact-checking agency Full Fact, Facebook launched its first fact-checking service in the UK earlier this week. The move is meant to tame concerns relating to the rampant spread of fake political news across the network. If movies are your business, Facebook’s latest report will certainly be of interest to you and your social media strategy. In collaboration with Accenture, Facebook explored the buying habits of “entertainment consumers” across Facebook, Instagram, and Messenger regarding film-related activities. Together, they concluded that 58 percent of “moviegoers discover films online,” 68 percent of moviegoers make viewing decision the day before the film’s premiere and that 21 percent of moviegoers buy tickets on mobile. Focus on driving social buzz to increase peer-to-peer purchase influence and decisions. Diversify your reach with a cross-platform approach. Make mobile research and purchases as quick and simple as possible. Download the reports infographic here. 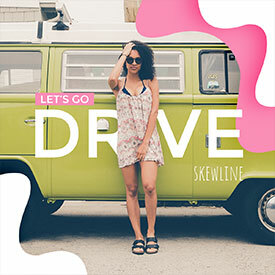 What’s New On The Sked Social Blog? As you officially recover from the hectic holiday season, we’re bringing you a guide to simplify your 2019 content planning. If you’ve always had trouble keeping track of your social media holidays and industry-related hashtags, we’re created the ultimate guide to take the pain out of planning. Bookmark Sked Social‘s guide to the Top Social Media Holidays 2019 & Industry Hashtags today, and say goodbye to last-minute hashtag planning! 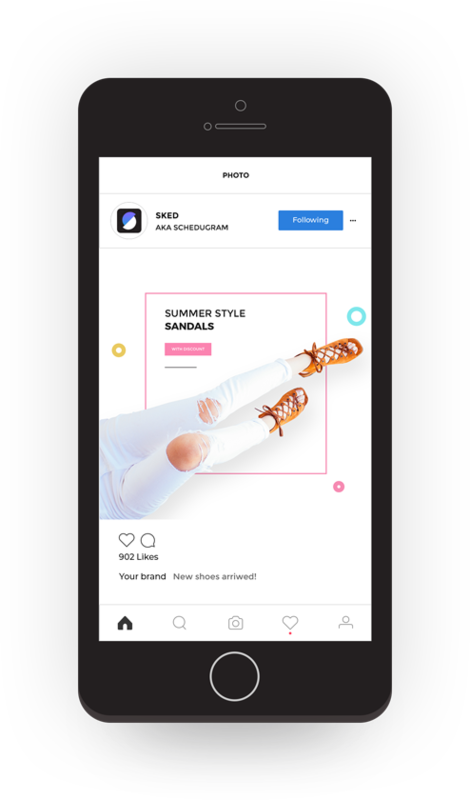 And if you’re still warming up to our new all-in-one platform, we’ve created a step-by-step guide to walk you through multi-image and carousel posting across Instagram and Facebook. 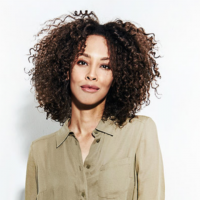 Sylvia is a strategist who enjoys crafting impactful, data-informed digital transformations and content for ambitious wellness, lifestyle and tech-rooted brands. Follow her on Twitter.